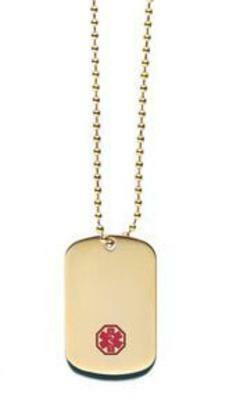 Our gold tone stainless steel dog tag style medical id pendent is perfect for kids or adults. It measures 1 7/16" x 1", has the medical id alert symbol on the front. This can be custom engraved with 5 lines of engraving on the front and 5 lines on the back also. 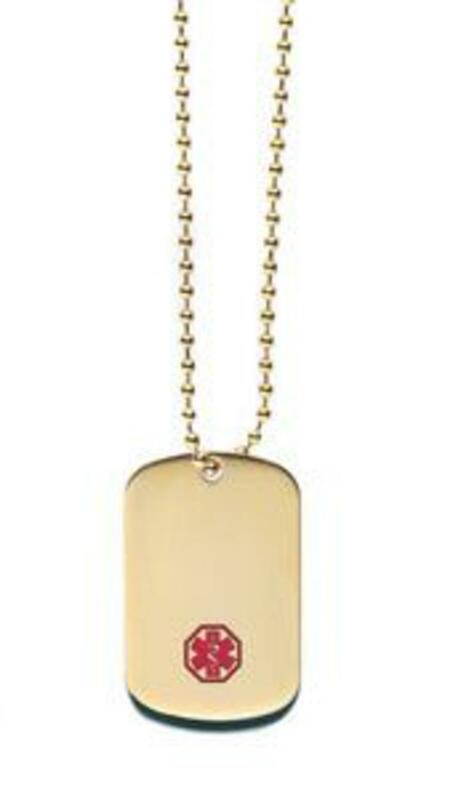 This come with a 26" stainless steel bead chain and a medical id alert wallet card also.Front engraving is 12 characters per line including spaces. Back engraving is 18 characters per line including spaces.